The United Schools of Cambodia project or called USC is one of KAPE’s newest projects focusing on both pre-school and primary education. This project supported by Kinchan from Germany. 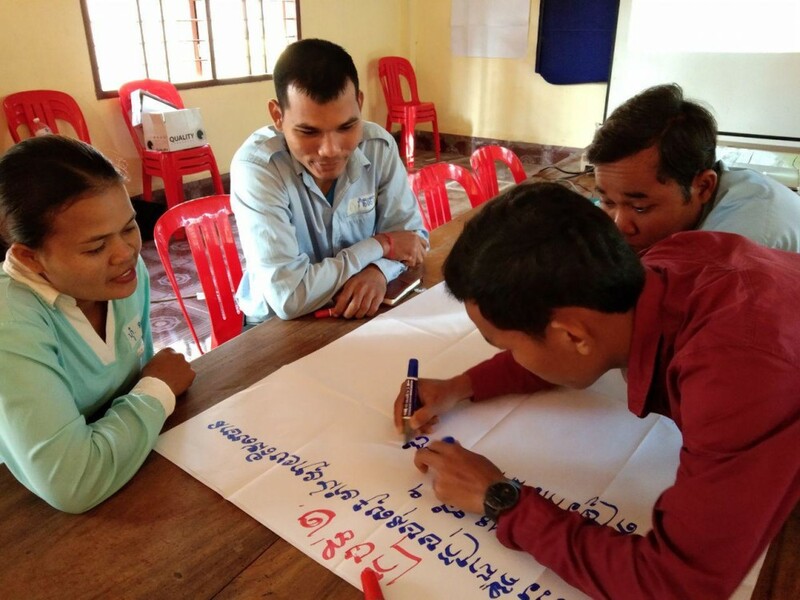 This training was held mainly focused on three courses including capacity building for school managers how to prepare financial transaction and administrative documents; capacity building for team teachers of the student councils and orienting teachers who were responsible for child right to seven targeted schools in Kralanh district, Siem Reap province in mid-January 2019 attended by 27 school directors, deputy school directors, Grade 5 and 6 teachers and team teachers of student council. The first training on capacity building for school managers how to prepare financial transaction and administrative documents was aiming to strengthen effectively school grant utilizations; applications to apply for advance request, payments, reducing impediments and increasing the discretion of controlling documents to better utilize the school grants transparently. "Of course, school documentation, financial transaction and administrative documents at Tuol Mead primary school has significantly been lacking of deeply understanding of the administrative and financial guidelines. In addition, we have many school assignments to do. Thus, we don’t know how to manage financial transaction and administrative documents well as introduced by the educational leaders. 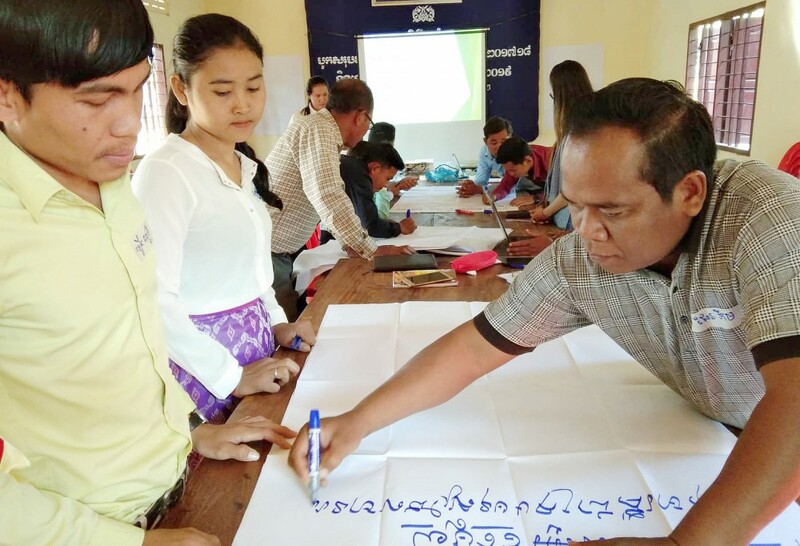 After attending this training, other participants and me learn well the experiences of how to prepare financial transaction and administrative documents especially those are related to KAPE," said Khaon Solunh, The Director of Tuol Mead primary school. The second training course was focused on capacity building for team teachers of student councils, which was aiming to give participants the opportunity to learn how to let the children divide into groups to autonomously work in order to take part in expressing their opinions, volunteering, spirit of self-esteem and self-promotion specially to promote child rights practices and democratic principles. There were many questions about the student councils raised during the training session, signs of students councils, the organizational chart of operational committees of the student councils, encouraging the teachers in charge of strengthening student councils effectively in response to the fifth component of Child Friendly School and providing the opportunities to children to take part in their school development. For the third training course was focused on capacity building for teachers in charge of child rights. This let them learn how to describe the four components of child rights and defining the relevant stakeholders to implement the convention on child rights. The course was also lectured about how the teachers could prepare methodological plans to teach the four components of child rights to the students and enable them to have the basic rights as enshrined in the convention on the child rights. The USC project works closely with Kruor Sar Yoeung local NGO who is responsible for constructing pre-schools in rural areas whose communities do not have pre-schools. 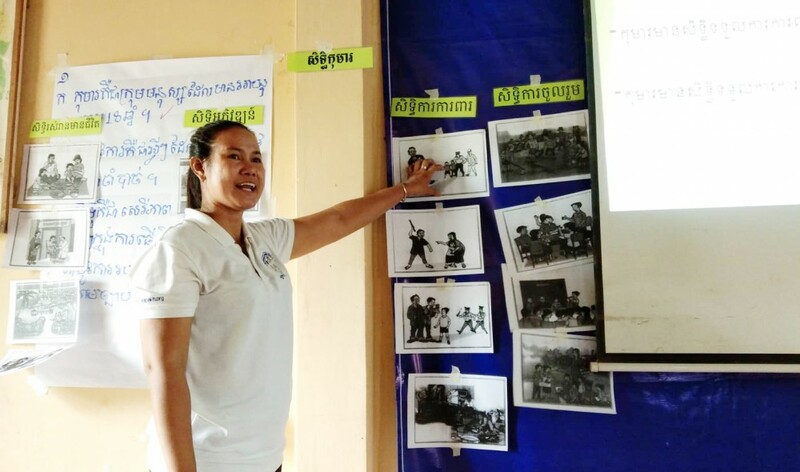 Overall, 12 kindergartens have, so far, been established in three provinces (one pre-school kindergarten in Hanchey commune, Kampong Cham province, supported by KAPE). In the academic year 2018-2019, KAPE has approved with Kruor Sar Yoeung LNGO to support targeted kindergartens and primary schools to improve first reading activities, strengthen literacy coaches, providing scholarships, improving school management, encourage community engagements and student councils, etc. “After providing training, both school directors, deputy school directors, team teachers of student councils and teachers of child rights at seven targeted schools in Siem Reap highly committed to implement and share all knowledge from the training especially those are related to financial transaction and administrative documents, they would utilize the methods shared by KAPE’s project finance officer to prepare financial transaction and administrative documents and effectively utilize school grants and transparently,” said Mr. Chorn Bopha, the USC’s project officer. Finally, he gave more his recommendations to the targeted schools to prepare transparent tables to publicize both in and outside the school and strengthen the implementation of their respective roles. 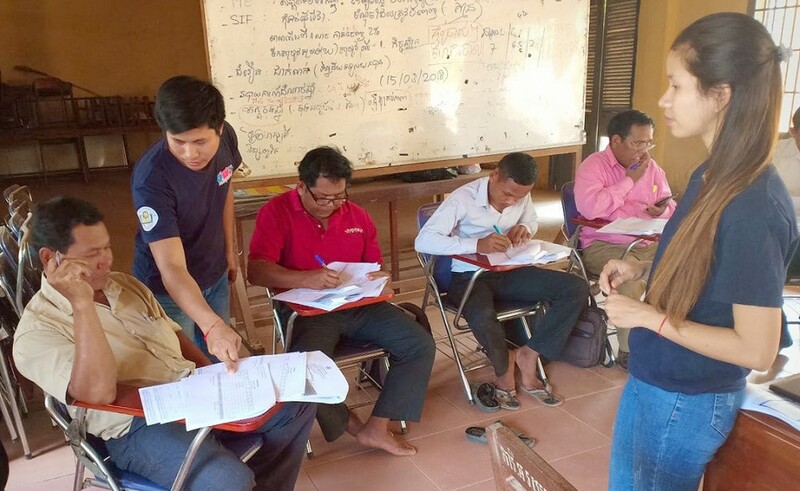 USC currently has twelve targeted primary schools, which seven of them locate in Siem Reap and four locate in Ratanakiri province and one locates in Kompong Cham and one kindergarten locates in Kampong Siem district, Kampong Cham province. As a result, this training brought more value-added methods for leading schools, leading student councils, and teaching effectively and efficiently. The school directors, deputy school directors and teachers were so happy to be involved in the project training. They would have better understanding of the project contexts and would use new methods of the training to implement at their schools well.